My Love Story took last week off presumably because they needed extra time to animate all the sparkles, but we’re back with not only the finale to our two-parter, but to the show itself. Confessions will be made! Desserts will be baked! Audiences will be adorabludgeoned! And anime’s most charming high school rom-com will come to a predictably heartwarming conclusion. I’ve shuffled the order of my original Anime Evo post around a bit, so the first half of this one provides a spoiler-free review for any newcomers interested in checking out this series. I’ll let you know when we switch from the review to the episode recap. Hit the jump and prepare your heart accordingly! My Love Story (henceforth shortened to “OreMono”) follows dense but kind-hearted giant Gouda Takeo, who falls head-over-heels for pint-sized baker Yamato Rinko after he defends her from a groper on the train. 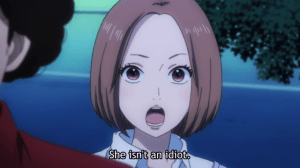 It’s glaringly obvious that she has feelings for him, too, but because Takeo’s been turned down by every girl he’s asked out, he assumes Yamato has a crush on his best friend, attractive introvert (and heavily ace-coded, to my delight) Sunakawa “Suna” Makoto. 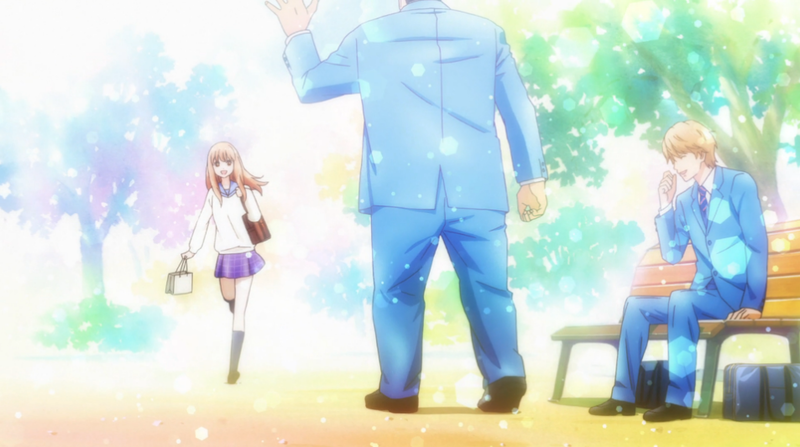 Takeo vows to make them both happy, shenanigans ensue, and our (love) story spirals from there. 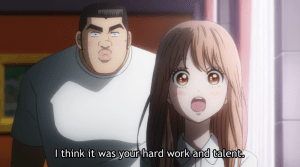 With its optimistic spirit, bumbling but well-meaning characters, and spectacular visuals and sense of comedic timing (Director Asaka Morio is the reigning king of shoujo adaptations), I fell for OreMono pretty much from the get-go, and that never really changed. The first three episodes are a treat, tackling a story line that would have taken an entire season in most rom-coms and forcing me to invent the word “adorabludgeon” just to explain it. The series continues to approach all of its mini-arcs with the same refreshing, snappy pace, exploring conflicts without dragging them out for ages. While there are some hiccups in the early-middle going as it figures out what kind of series it wants to be, OreMono never loses sight of the humor and heart that form its charming center. It quietly challenges traditional gender assumptions and actively avoids harmful genre tropes (taking a vocal stance against victim-blaming and matter-of-factly promoting consent, for example), keeping it fresh and funny even when it seems to be meandering in terms of plot and character development. I always enjoyed its cuteness and sweetness, but there are moments in the middle when I worried it would be “just” a fluffy rom-com puff piece. If you start to feel the same way, I urge you to stick with it, because OreMono ends on a fantastic final stretch of episodes, exploring a variety of layered relationships and complicated emotions (while still being cute ‘n’ funny as all get out, mind you). This not only allows it press on its overarching themes about the importance of honesty and the struggle to find a balance between respecting others’ feelings without denying your own, but to also develop its protagonist(s) in gradual but significant ways. 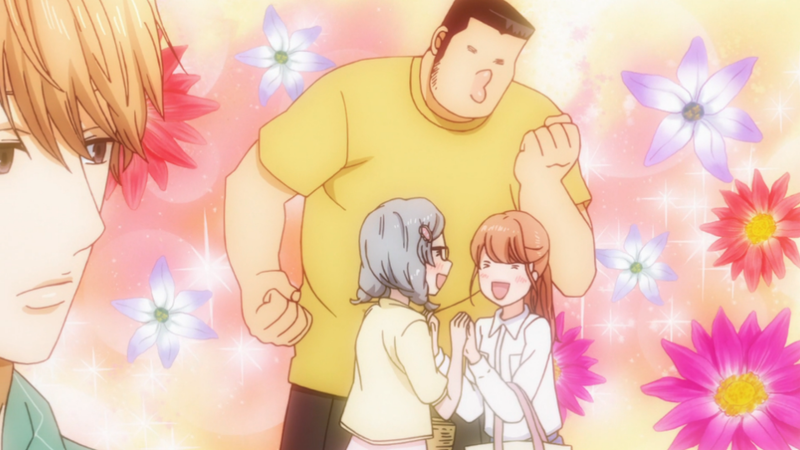 While plenty of sympathetic and unique characters slide in and out of the story, it’s Takeo, Yamato, and Suna who form the backbone of the series, and all three are equal parts adorable, compassionate, and flawed. 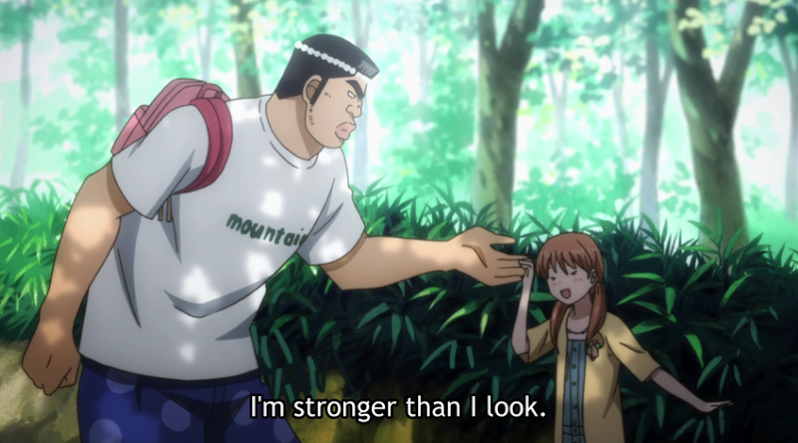 Takeo’s eagerness to help others often leads to him denying his own happiness or acting before he truly understands what people want or need. Yamato struggles with social expectations about how “good girls” should behave in relationships, as it clashes with her own proactive nature. The ever-observant Suna is empathetic and forgiving of others but unnecessarily hard on himself. Mostly, though, all three struggle to communicate and make their intangible feelings and desires known to others. It’s these issues of communication where OreMono shines brightest, as honesty and empathy are lauded by the series and almost always the solution to whatever problem has taken form. It’s a steady process, but over 24 episodes all three of our main characters come to understand themselves and others better, and figure out how to navigate the world of adulthood just a little easier than they did before. 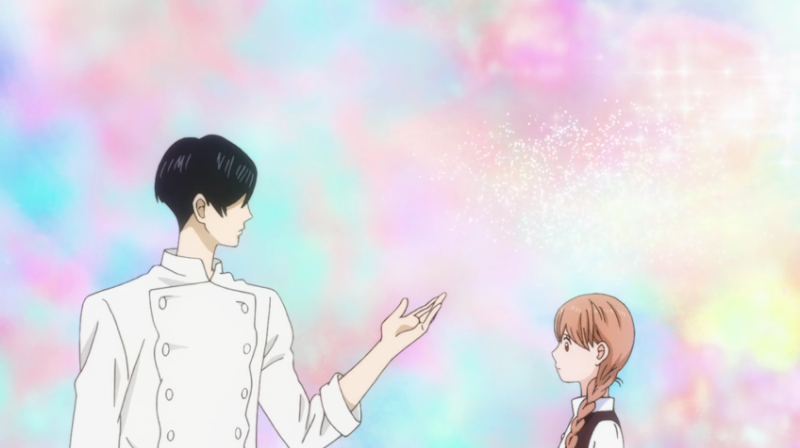 In the end, OreMono proved itself to be not “just” a cute, silly rom-com—although it was that, too, and splendidly so—but a sequence of perceptive character studies and coming-of-age stories. It explored the difficulties of adolescence and romance without spiraling into tired cliches or destructive melodrama, and always pointed its characters (and audience) towards an outcome that promoted kindness and candor in equal turns. I said at one point that it functioned as a sort of handbook for teen relationships, and that very much held true right through to the finale. Between this and Snow White with the Red Hair, the bar for healthy shoujo romance has been raised to an impressive height, that’s for darn sure. And the rest of you can slide past those bubble-filled screenshots for commentary on the episode itself. 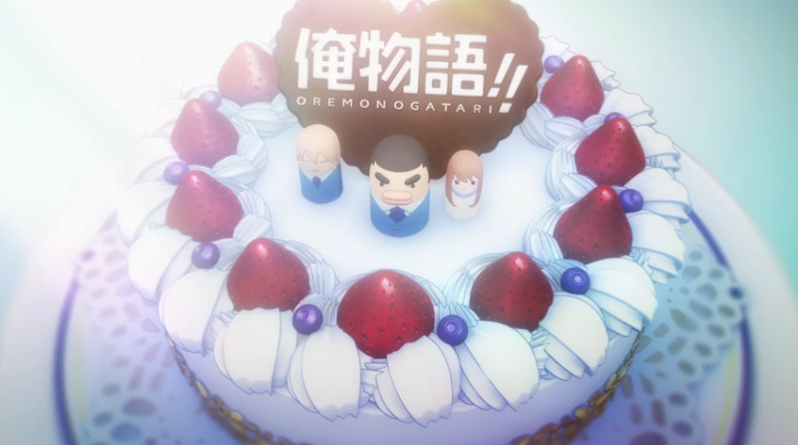 “My Heart” centers around the Japanese Snacks C’est Nouveau Patissier competition, as Yamato fights to help Ichinose win the gold, Takeo fights between his self-sacrificial tendencies and his own happiness, and Suna fights to keep Takeo from losing his mind worrying that Yamato might not choose him. Our hero begins the episode about as down as we’ve ever seen him, but Yamato’s immediate phone call, her total honesty about helping Ichinose, and the fact that she communicates (there’s that word again!) how much she misses and loves him keep him from a complete Doom Spiral. 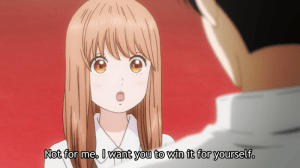 Meaning that if Takeo breaking up with Yamato isn’t about what she wants, then it has to be about what he wants—and he doesn’t want that at all. So Takeo finally decides to fight for his own happiness. He dashes off to inform Ichinose that he’s not going to “let him have Yamato,” a slightly misleading translation that makes it sound like Takeo is treating Yamato like object, but all he’s really saying here is that he isn’t going to break it off with her like Ichinose told him to. 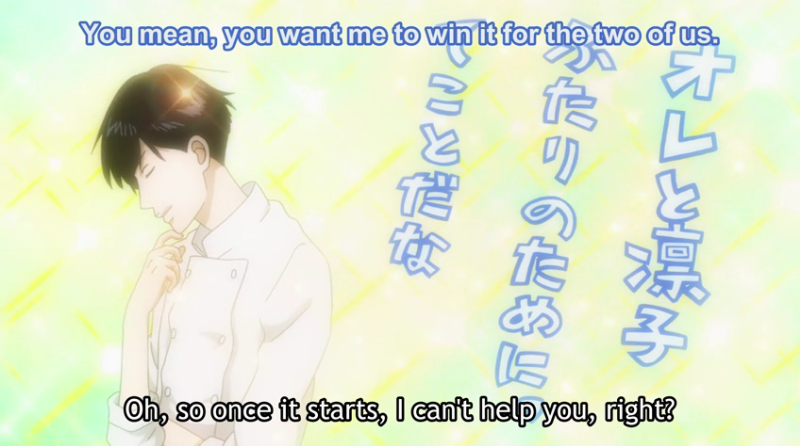 Ichinose, the dipstick, accepts this “challenge” and announces that he’ll declare his feelings to Yamato after he wins the patissier competition. This is as good a time as any to talk about everyone’s favorite (PFFT) pastry chef, as you may have noticed that my vitriol towards him is a lot more muted this week. I still don’t like the guy, but OreMono takes care this week to assure us that he is not, in fact, a calculating predator but rather a… well, an idiot, mostly. He’s egotistical and melodramatic, so consumed by his own thoughts (which clutter the screen to an absurd degree this week) that he can’t even imagine an alternate interpretation to the world around him. Don’t get me wrong: He’s guilty of placing Yamato on a pedestal and seeing her not as a person, but as a tool to improve himself, trying to turn her into his very own Manic Pixie Dream Girl. He’d be an awful boyfriend. But once he decides to let Yamato choose her own future, the series stops treating him as a genuine threat and more like a punch line. His overblown “muse” speeches are played with excessive sparkles and bubbles even by this show’s standards, poking fun at your typical long-suffering romantic hero, and Fukuyama Jun does such a magnificent job with his wild mood swings that it’s hard not to enjoy him for the comedy if nothing else. Plus, OreMono rejects his whole Manic Pixie Dream Girl fantasy so thoroughly that I’m sort of glad he existed as a character just so we could see this story play out. Yamato isn’t as prominent a figure this week as I’d have liked, but her reactions to Ichinose are pitch-perfect, as she tells him (twice!) 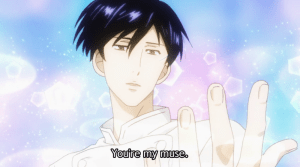 in no uncertain terms that she’s not his muse, but just a normal girl who also likes to bake. She teaches him a little lesson about believing in himself while simultaneously smacking down the Myth of the Savior Girlfriend, and it’s wonderful. We chatted a lot (in both the post and the comments) last time about Takeo needing to sit down and talk to Yamato about all this, and a part of me still sort of wishes we’d seen more of that this week. 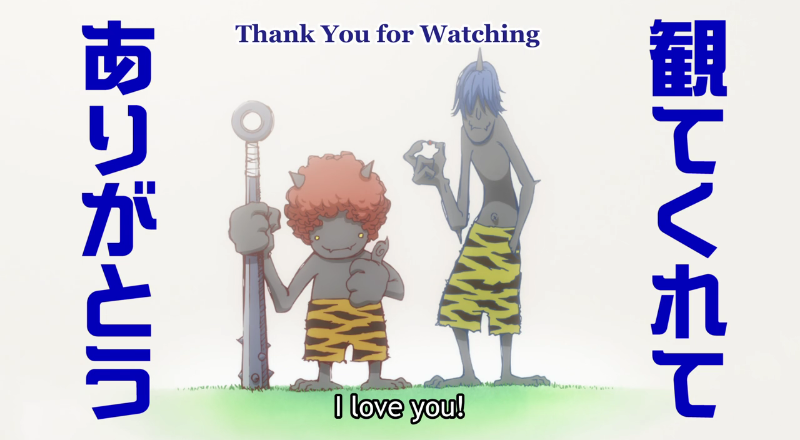 But in the end I did like the way this one handled itself, allowing its characters to be fallible humans while still maintaining OreMono’s series-long promotion of communication, as well as its ongoing balance between respecting others’ happiness and fighting for your own. 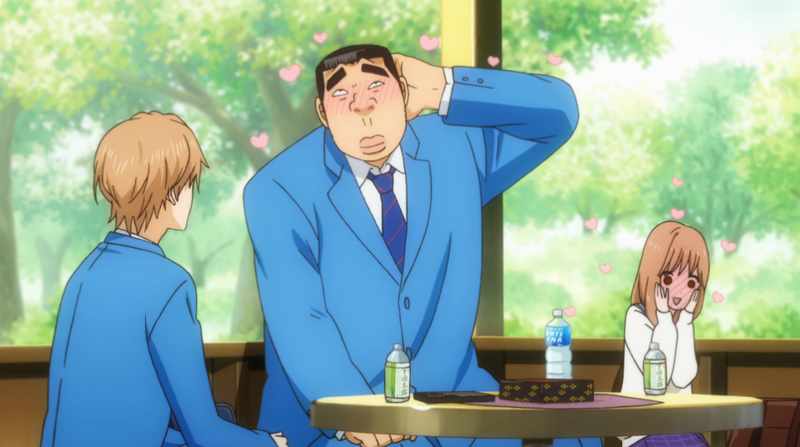 To continue its portrayal of healthy relationships and personal growth, Takeo and the show itself had to walk a delicate tightrope this week: On the one hand, Takeo needed to acknowledge his own desires for once, but on the other, he couldn’t override Yamato’s agency to do it. 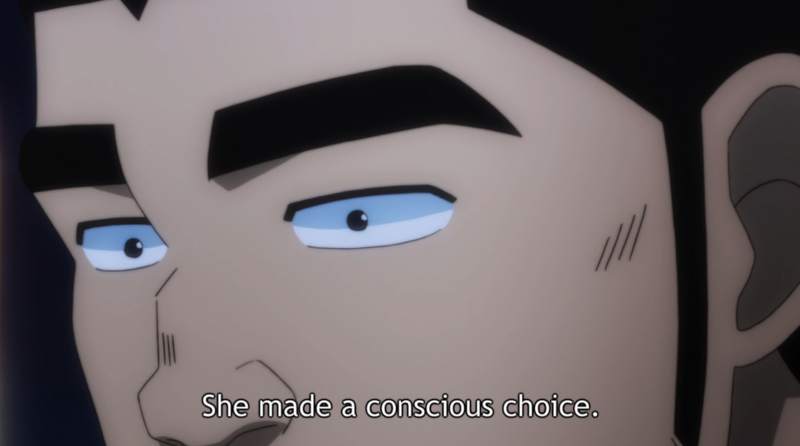 While this did mean that Yamato remained in the dark about Ichinose’s feelings, Takeo does this out of a sense of respect for both Ichinose and especially Yamato, as he wants her to make her own decision without feeling pressured from any direction. 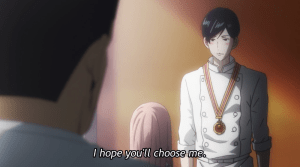 The fact that he thinks “I hope you choose me” is huge, though, and a major sign of his development as a person since that day he fell in love with her and immediately tried to hook her up with his best friend. And, in the end, My Love Story circles right back around to its pro-communication message via Takeo’s remark that the most important things—feelings, hearts, and souls—are the ones you can’t see, and how difficult it can be to convince yourself they really exist. 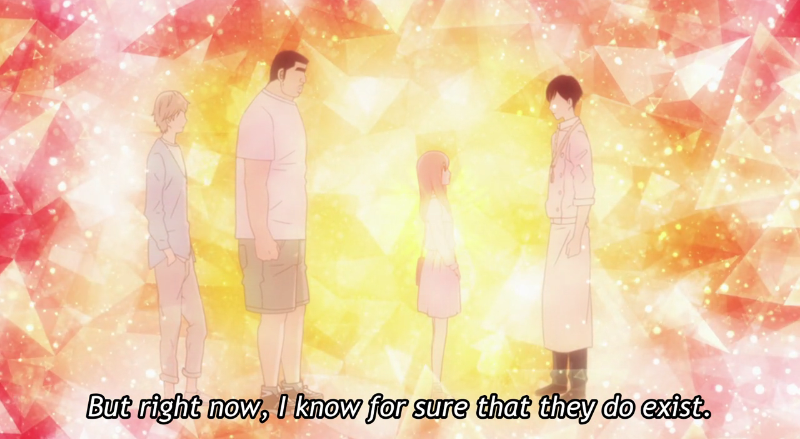 I’d never thought much about this before, but shoujo’s use of sparkles, bubbles, and flowers is very much a way to visually represent those important, invisible things, and boy, does the OreMono finale utilize that, as sparkly triangles literally explode(!) 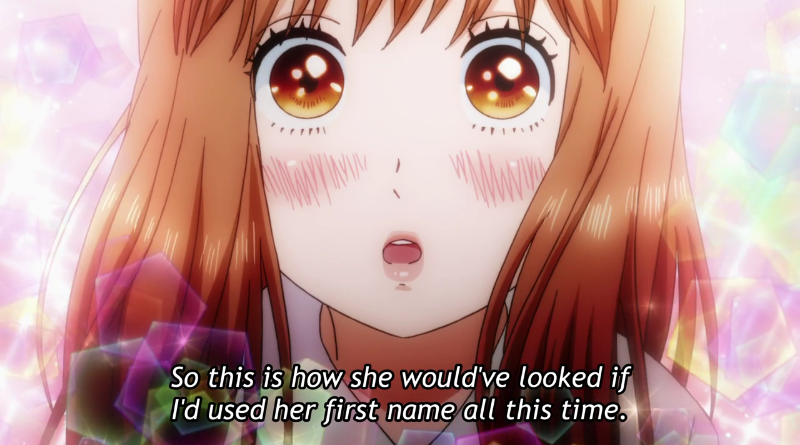 from Yamato and cover the screen when she announces that Takeo’s had her heart from the moment she met him. It’s a lovely (and so very shoujo) way to portray not just the way those emotions “look” to the characters, but how speaking one’s mind can make those “things that can’t be seen” visible to another person. 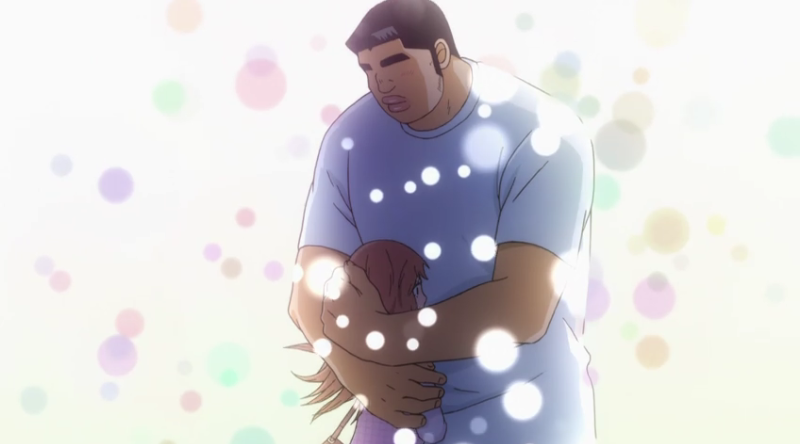 By vocalizing how she feels, Yamato shows Takeo those intangible emotions, and Takeo does the same for Yamato when he hugs her, tells her he doesn’t want to lose her, and (yay!) calls her by her first name. And, really, where better to end a series about the importance of communication than with the characters coming to understand it themselves? 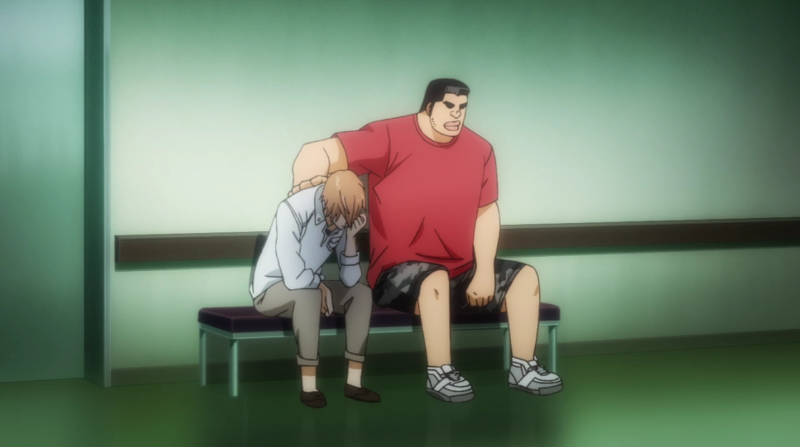 Over the last 24 episodes, Takeo (and Yamato, really) has grown from a well-meaning but dense and borderline self-loathing kid into an empathetic and thoughtful young adult who’s eager to help others but won’t sacrifice his own happiness to do it. He still backslides from time to time (he’s only human, after all), but he’s getting better at communicating his feelings and listening to others’ needs/wants before acting on his own assumptions, and that’s only helped him mature both as an individual and in his interactions with others. Would I watch another season of OreMono if we got it? Oh, yes, without question, and I plan to pick up Viz’s manga release once it passes the anime. The author has more than earned my trust that she can continue to spin funny, adorable, and intelligent stories, and I love these characters enough that I’m happy to keep hanging out with them. But as far as endings go, this was a pretty perfect place to leave our cast, bringing the story full circle to our self-sacrificing ogres and reminding them that they do, in fact, deserve happiness as much as anyone else. I’m delighted that we were able to get two cours of this charming little series, and equally pleased I got to talk about it with you awesome people each week. Thank you all for tuning in each week, and, of course: SUKI DA! 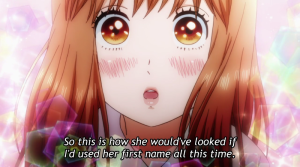 I know Yamato claims she had no idea Ichinose was interested in her, but the fact that she responded to his Muse Speech by immediately talking about “Takeo, my boyfriend” tells me that she had at least an inkling, even if it was an unconscious one. I swear I could watch Papa Gouda play with Maki for an entire episode. 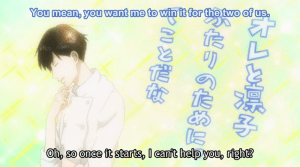 OreMono turned a walk down a hospital hall into a march into battle, so naturally this week’s baking competition was full of races against time and manly declarations of respect. This show’s ability to make traditionally “domestic” or “feminine” activities caps-lock levels of EPIC never ceases to impress me. Just one thing. The Suna Scream shall surpass the Wilhelm scream in awesomeness. ‘Nuff said. Dee, this is another show that was twice as much fun and interesting to watch thanks to your wonderful insights and witticisms. Your recaps are a freaking gift, and you’re like the tree that keeps on giving. I’m such a huge fan that I’m even resorting to the “tree of life” metaphor. Aww, shucks. 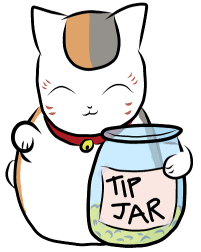 :3 Once again you’re very welcome, and once again I’m glad I got to have awesome ridiculous flailing conversations with you and the other posters over at Anime Evo, too! Now I wonder what shows we’ll all get far too emotionally invested in during the fall season…? I LOVE to get far too emotionally invested in shows, so I’m an easy prey… but I’ll certainly be keeping up with your recommendations here, so I can keep coming back here to flail and fangirl some more! Besides, I watched AkaYona, Akagami and Charlotte (and am about to watch Gangsta) because of your reviews. Which means that I owe half of my emotions this season to you! I pretty much agreed with everything you’ve said about the drama portion, and to add, I also really really enjoyed the show’s sense of humor. It’s been forever since I’ve watched rom-com anime w/o the likes of flat chest joke, protagonist being pervert, physical violence disguised as a joke, or the good ol’ accidental bathroom meeting. OreMono in comparison is just funny in a way that felt much more authentic, full of hilarious and clever visual gags, and never feel mean-spirited in its humor. Thanks for the exceedingly well-written episodic posts! You’re super welcome. ^_^ And that’s an excellent point! 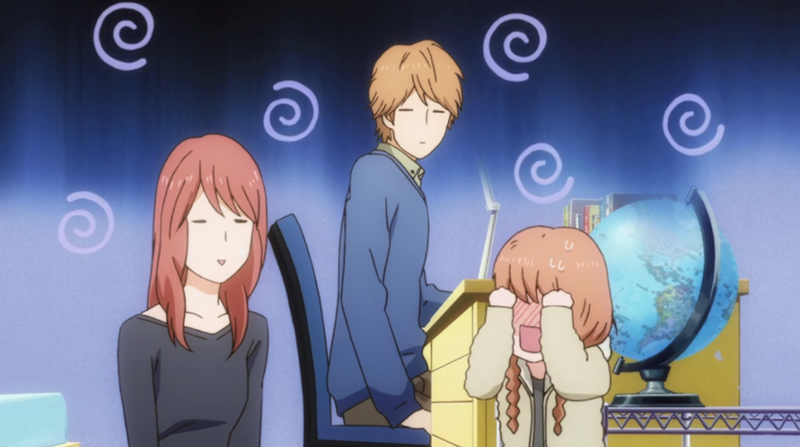 Much like Nozaki-kun, OreMono is a great comedy, and even pokes fun at or critiques its genre or characters, but without being mean-spirited or resorting to lowest-common-denominator jokes. It’s consistently funny without losing its kindness, and that just makes it all the more enjoyable. No wonder we were all drowning in warm fuzzies for so much of the series. I also really enjoyed this series (still yet to review) but it does have everything in equal measure – agreed!